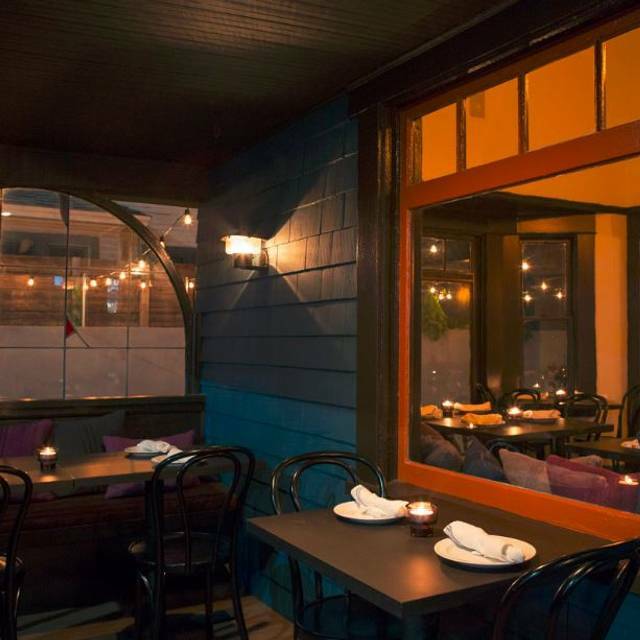 Our Backyard is the perfect location for your next private event for up to 25 people. This space is available at no extra charge to you with certain limitations. We offer valet parking for $4 per car. The area also offers plenty of street parking on Colorado Blvd and surrounding residential streets. PAN-ROASTED CHICKEN "COQ AU VIN"
This place is fabulous! 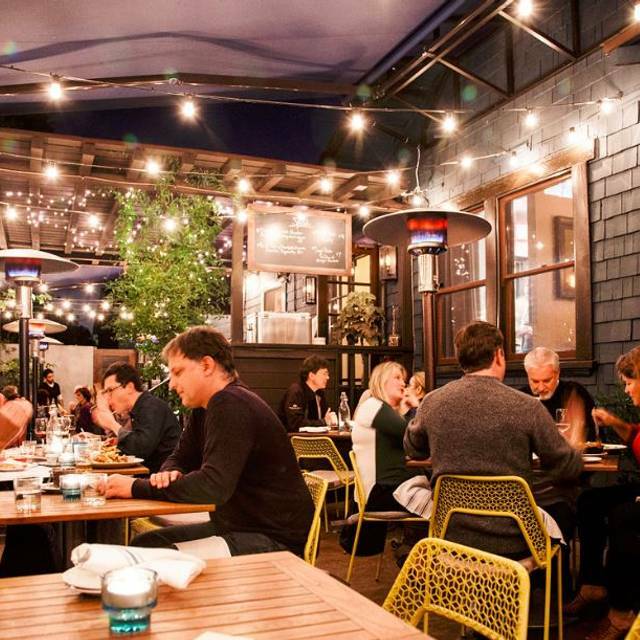 It's cozy, Charming, filled with character and delicious eats! I've never been disappointed by the tasty menu and the atmosphere. Arrived at least 15 minutes before our scheduled reservation, we weren't seated until 20 mins after reservation (35 mins wait) while a number of guest with/without reservations were catered too. Very disappointed by the front staff and the nonchalant attitude. Otherwise, great food, wine selection, and ambiance. Probably won't return due to poor door service. We really love this restaurant. 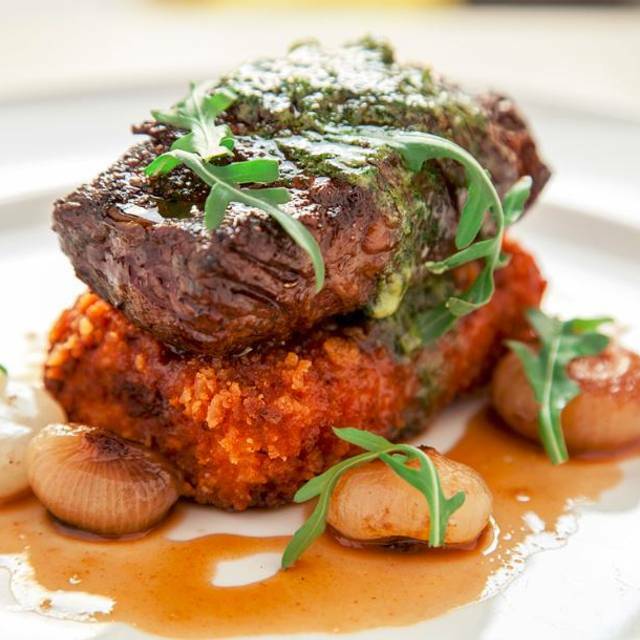 The food and service are consistently outstanding. Love the staff's enthusiasm over the food and entire experience. Have already recommended it to friends. 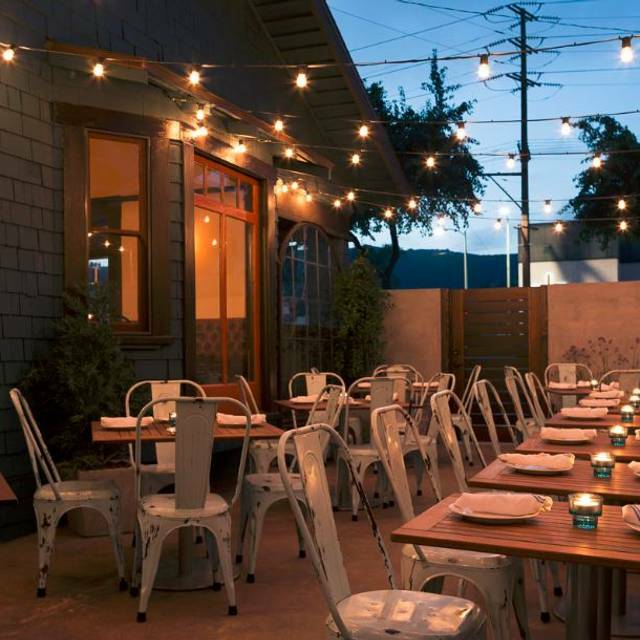 This is a must-try little Eagle rock gem! Loved the authentic craftsman cottage atmosphere as a backdrop for great drinks and food, served up professionally in a notably casual manner. We sat inside, which has a cozy intimate vibe. Cocktails were perfect, we shared the beet and burrata salad--very tasty and unique with mandarin oranges and edamame. I had the night's special-- fried chicken with delicious slaw, my wife had the steelhead trout which she raved about. Overall, this was a great dining experience, casual, fun, very well executed. Can't wait to go back!!! Hand made cocktails were the best! Third time at this restaurant and they never disappoint. We had a young child with us this time and they made us feel very welcomed and had table activities for her to keep occupied. Nice friendly comfortable ambience with some unusual menu selections. Great service but the sushi at this price had more flair than fresh fish. Great scene, yummy well-prepared food, friendly and efficient staff. However, it was VERY noisy because of a large party on the patio. My friend and I shared the steelhead entree which was wonderful, snap peas and blueberry dish which was excellent, and the meatballs, yum yum. L.B. 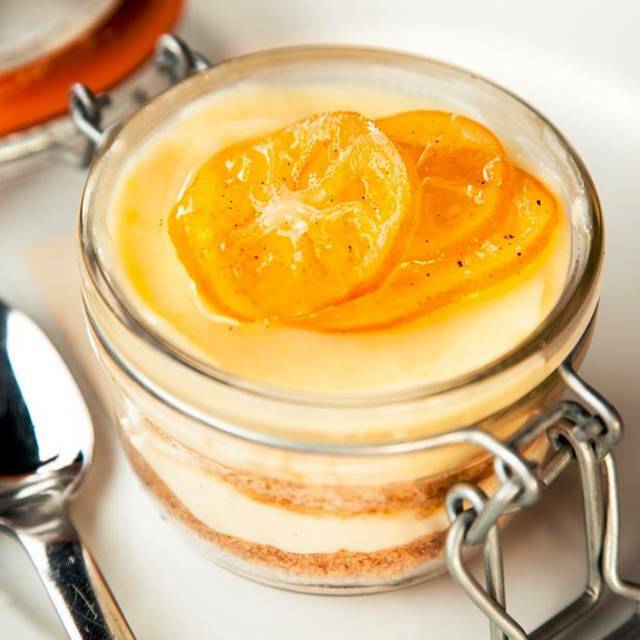 has fantastic service, delicious food and love the rustic elegance of the place. Little Beast is one of my very favorite LA spots after 25 years of living here. Consistently excellent cooking in a very friendly, charming place. It sports an always kind and knowledgeable staff, plus really you can just close your eyes and point at the menu and find something wonderful. It's a total neighborhood gem. A little pricey, but not wallet-draining, and while the menu is smallish, you still have a range of options - both in price and ingredients. Get a reservation! Outstanding and recommended by our college student granddaughter. She was right.... it was all delicious and the service was great. Steak was done perfectly and the risotto was perfect. Olives appetizer along with some bread was delicious as well. Comfortable relaxed atmosphere. A delightful evening. As usual...we had little plates and all were delicious. Looking forward to next time. Not what we expected! Outdoor dinning was horrible loud construction work. The canopy over the outdoor sitting was ugly. The food was amazing. The ambiance and outdoor furniture just doesn't compliment what the chef is cooking . The service was good & the drinks were amazing but will never come back! Our bill was $500 for party of 6 not worth it all. This restaurant was just not for us. Tried their new cocktail menu and small bites. Very tasty and creative. We were lucky to enjoy the great weather for outside seating. 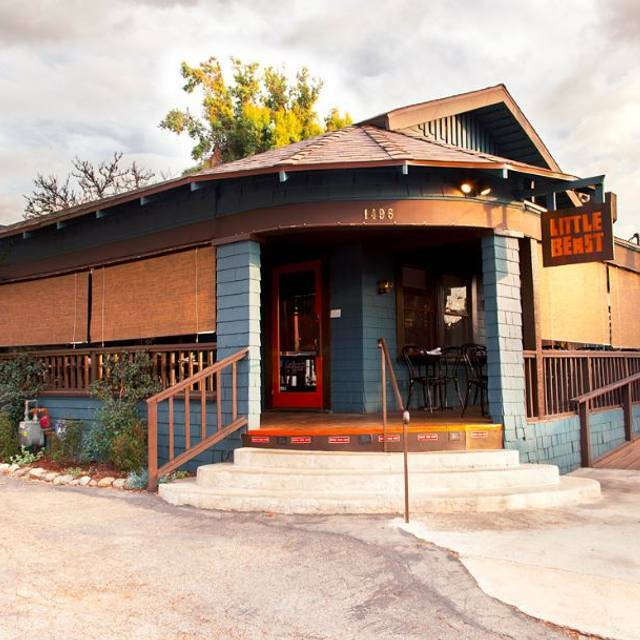 Little Beast restaurant is one of our favorite restaurants. The service is outstanding, the food is always great and it is just a great place to eat. If you have never gone there before, don't hesitate and just go. The food was incredible. We made a reservation and had to wait 30 minutes for our table, which was not the greatest, and the hostess was not very helpful. But the manager made up for it with free glasses of wine. I would definitely go back here for the food and the atmosphere. I know that overbooking type stuff happens, so that didn't put a dent in it at all! Date night with my spouse. Enjoyable evening with good food at a fair price. A bit crowded (old house) for an intimate evening. The taste was wonderful but the portion is a little small. It is our family dine-out destination. 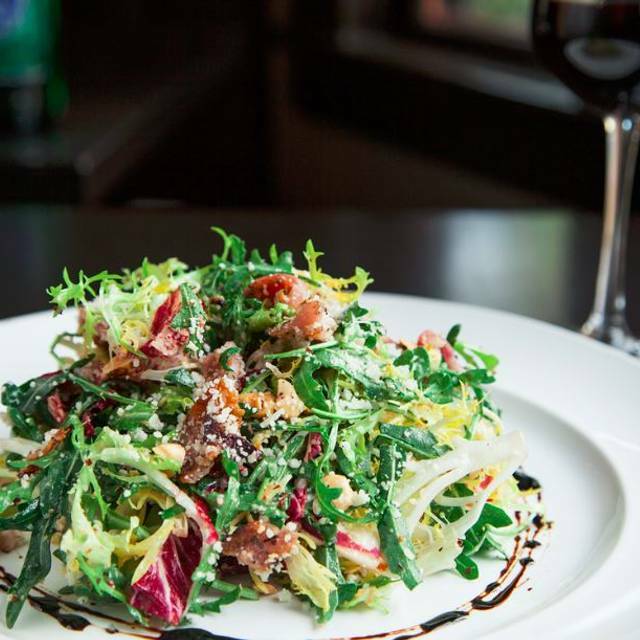 Kid-friendly, local, innovative cuisine, it's a neighborhood gem! We had a reservation, but had to wait almost an hour past our reservation time. It was rainy and cold and we had to wait outside in a high traffic area, which made the hour wait worse. Once we were sat, service was very slow. It took 20 minutes to get our drinks and we had to ask for more drinks and water throughout our meal. We spent two and a half hours here, which was a little excessive. We normally enjoy Little Beast. In fact, it’s always been one of our favorite restaurants in LA. I hope this last experience is an anomaly. I've never had a bad time here. The food is always pretty amazeballs. Always good. Always friendly. Get the chicken and Brussels sprouts. After reading earlier reviews I was intrigued and wanted to see if Little Beast was as good as described. We went with friends and all 4 of us loved what we were served, liked the ambiance of the Craftsman house and agreed that we would come again. Many tasty and reasonaly priced small plates with outstanding seating and a wam cozy ambiance make for an excellent meal every single time! Every dish has outstanding flavors. We weren’t seated until an hour after our reservation but no complaints here, your staff was so attentive and accommodating we were very happy with our overall experience. Amazing service and food, thank you. The service was impeccable; you have a great team. The food was delicious. Our party of two ordered the following: Chicken liver mousse, burrata and beets, flat iron steak (medium rare), and the pork chops. P.S. I had some flat iron steak leftovers for lunch the next day; i warmed it up (it was still red in the middle) and it still tasted scrumptious! I wish I had more! Being new to the neighborhood living and working. I have had a few clients recommend this spot as a fun hipster restaurant. I work in Fine Jewelry and also need to often recommend/ arrange dinner for my own clients... so I wanted to try it out. Upon my first date with a new person I booked a 5pm reservation for two. The restaurant is Valet only so I had to leave and go to CVS for cash back which was the nearest by the establishment. So when I walked in at 5:15- the hostess asked if I would be done within the house by 6 as they have a private party this evening. The explanation of good muenu, wine menu and service was very “poor”. It was very much unpleasant as we weren’t able to complete one bottle of wine with dinner before being asked to exit out seats and go to the outdoor bar due to the private party (otherwise I would have never booked this place on this evening.) if I could get cash back due to a complaint I would! -And I’m very easy going. Have been to Little Beast a few times. Always a pleasant spot. This time though the experience was dulled by our waiter calling me "MAM" multiple times. Hey waiters out there, be sensitive to the folks you're waiting on. Unintentional inference to age, even spoken with a tone of respect, may not always come off in a positive way. 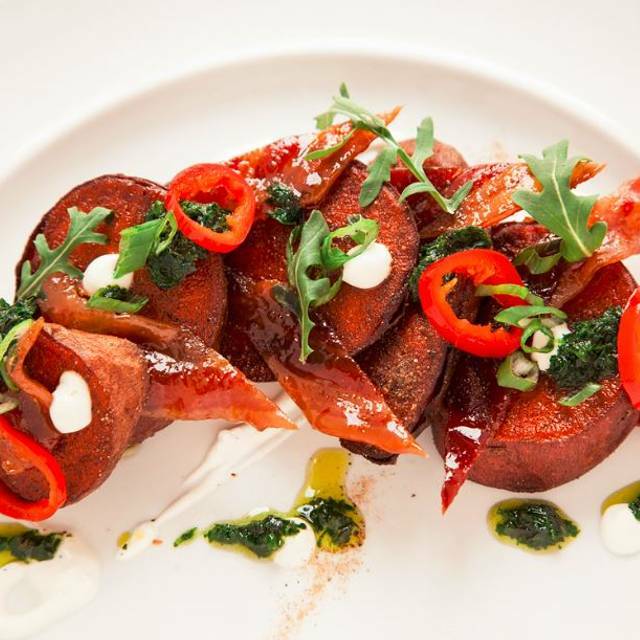 One of the best modern California cuisine experiences in all of LA. Charming setting, friendly staff, local crowd. Short (10 minute) wait for our 715pm Saturday night reservation. Enjoyed Little beast a lot. Not too crowded, but busy. Food is really good. Drinks were excellent. Service and ambiance were great. We ate outside on the porch with our dog in training and we were very well treated with multiple staff who came to admire our puppy. Very friendly staff with a very homey atmosphere. Great food. Very great service. A totally enjoyable experience. Excellent food and great waitstaff . 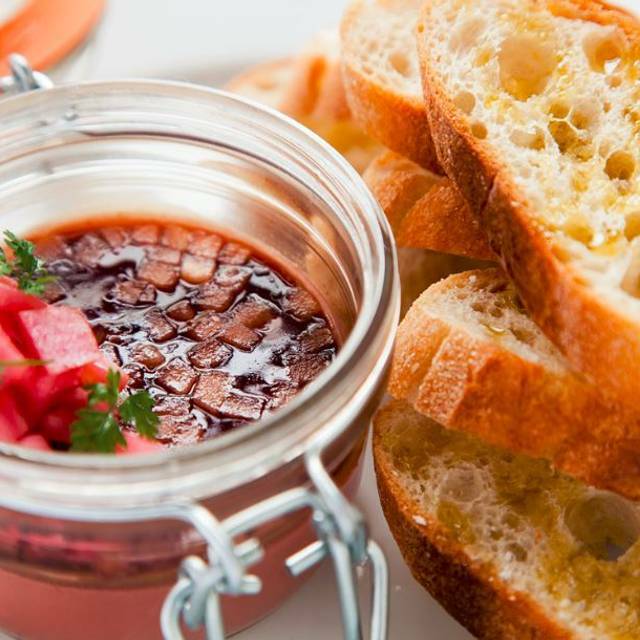 The food was excellent especially the Chicken Liver Mousse. Service was good. Great restaurant. We heard good reviews about Little Beast and it lived up to them on our dinner date Valentine's Day 2018.